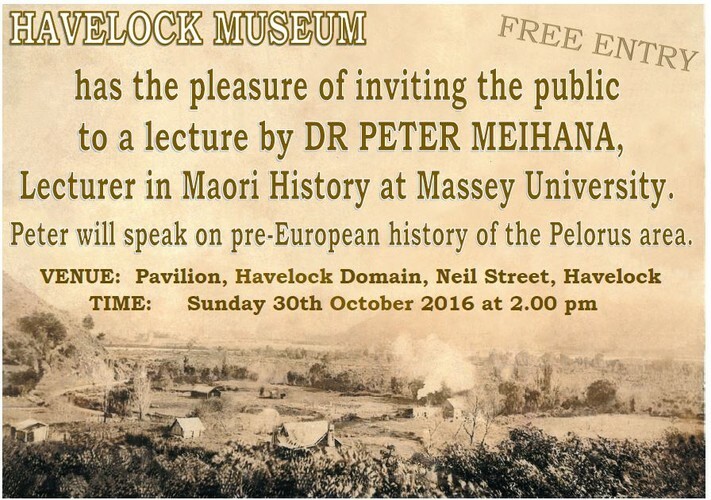 A free public lecture by Dr Peter Meihana, Lecturer in Maori Studies at Waikato University. Peter is a respected academic who focused on 100 years of Maori privilege for his doctoral research. He completed his Master’s degree at Massey on the involvement of Ngāti Kuia in the seabed and foreshore issue and since 2008 has taught the undergraduate papers New Zealand Land Wars and Māori Responses to Colonisation. This lecture is hosted by Havelock Museum.